If you have a little one you are teaching at home, you are going to love these Preschool Do a Dot Printables! 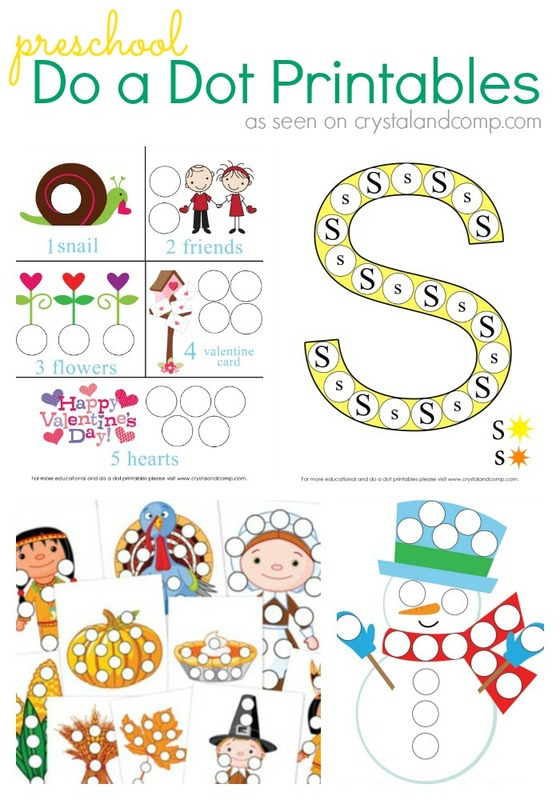 Once a month we offer a free downloadable pack of preschool printables that encourage fine motor skill development, learning and fun. Each pack focuses on a theme- generally based around holidays and seasons. Your preschooler will learn to follow directions, letter recognition, color recognition, counting, adding, and more! These printables are intended to be used with Do a Dot Art Markers, but you can be creative and use stickers or color the circles in with crayons or markers. Below is a collection of each packet we have offered so far. Check back as we update the page regularly with new themes. For added fun, incorporate our Alphabet Flip Book, which is a free educational resource you can create at home on a very thrifty budget!